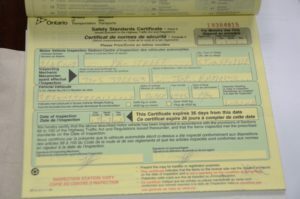 Readers were angered and saddened by a road tragedy that involved a falsified safety certificate by an Ontario technician who routinely flouted the law. Joe Ramono leaves court just prior to sentencing. 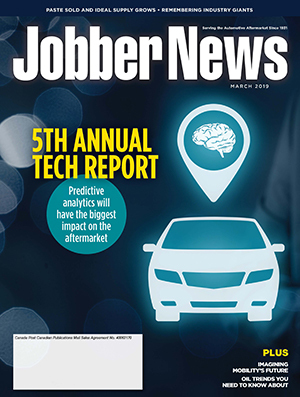 It’s fair to say that the big story of the year in 2017 was the trial of Joe Ramono, the Ontario technician who was convicted of falsely certifying a vehicle which shortly thereafter went out of control and smashed head-on into an oncoming car. The crash – which owed much to the Dodge Ram 2500’s compromised steering system – killed the driver of the other vehicle and devastated her family. It also threw our entire industry into a vortex of self-examination. Based on scores of letters from shop owners and technicians across Canada, this story touched a nerve. Unfortunately, due to space restrictions, some letters did not make it into the pages of CARS magazine. Many were published online. Here are a few that came in to me personally via email. I’d like to give these letter writers a chance to express their thoughts and concerns publicly. 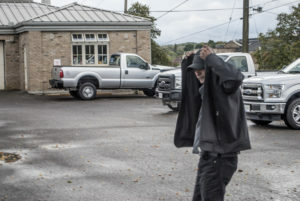 Why was his license not pulled after two previous guilty pleas? For a month I’ve been delaying in sending you my thoughts on the Joe Romano case, and today I decided to go for it. The safety certificate written for the 1995 Dodge Ram 2500 despite its many deficiencies..
What did the driver of the truck get for his dangerous and reckless driving? If he had been following the laws of the road, we might not be reading about this tragedy. I bet he is not going to jail. Secondly, why did the Ontario Ministry of Transportation (MTO) not do its job and pull his license to certify vehicles after previous infractions? Your November issue says that he was charged and pled guilty to selling pre-signed safeties in 2007, and pled guilty to selling fake safeties again in 2008. If the MTO had done its job, they would have prevented him from doing safety inspections after those two strikes. This is incredible! What he did was wrong and he should be punished… but the reckless driver and the MTO also played parts in this tragedy. And if the MTO had taken Ramono’s license after the second offence, we would not be reading this story. Billy Towns arriving at court. He was sentenced to three years in jail for his role in a deadly crash. In answer to your question, Gary, the driver of the vehicle got three years in jail for his part in the tragedy. You can find an interesting story on his role in the tragedy HERE. I can’t speak for the MTO’s actions or inactions on Joe Ramono in 2007 and 2008. He faced very stiff fines for those offences. And the Ministry certainly took the situation seriously after the crash in 2012. The charges he pled guilty to in 2016 were for actions he took prior to 2012. They came to light during the Ministry’s investigation into the crash. From 2012, when Ramono was charged with criminal negligence causing death (a charge that the jury found him not guilty of) and forgery, he was prevented from doing safety inspections. It will be 2020 before he is eligible to apply to the Ministry for a license to do safety inspections again. I’m sure the approval process will be extremely complicated for him. Why was Ramono allowed to continue writing safeties?! I became sick to my stomach reading about Joe Ramono in your November issue. 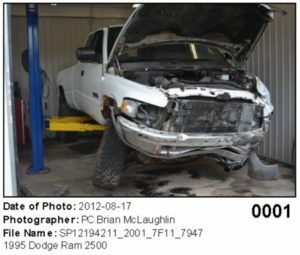 The Dodge Ram 2500 being inspected at a provincial facility following a deadly crash in 2012. 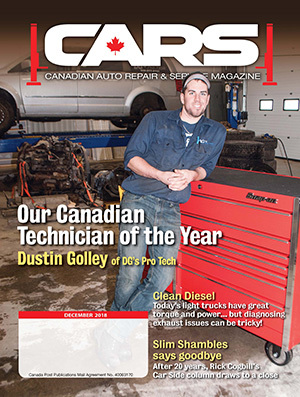 I am a licensed mechanic and the owner of an automotive shop in Brampton, Ont. I’ve been in business for almost 25 years and it seems like every time I turn around there’s another audit or inspection taking place. If it’s not the MTO, it the Ontario College of Trades (OCOT), or some other government body. In this industry, we spend thousands of dollars and almost as many man hours every year to stay up to date and in compliance with all these different government entities and their regulations. Yet Joe Ramono, after a conviction in 2007, was allowed to continue to writing safety certificates, only to be convicted again in 2008. Worst of all, he was still writing safeties in 2012, after multiple warnings and letters from the Ministry. Clearly these warnings had very little clout! And that’s the message being sent here. I, for one, am very happy that he is finding it difficult to get a job in this industry. No doubt his disregard for public safety would be reflected in his workmanship. I don’t think he should have been allowed to operate a mobile repair business while awaiting a verdict in this case. It seems that at no time during all the safety standards infractions was his mechanic license revoked or even questioned! 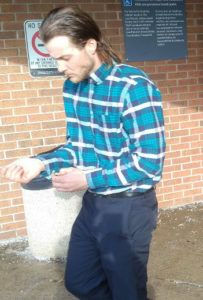 Joe Ramono let his license with the Ontario College of Trades lapse. He is not listed on the college’s public registry of licensed technicians. I’m not sure what kind of ‘mobile repair’ services he was offering while he was awaiting a trial verdict and sentencing, but it is fair to say his re-entry into the industry will be a difficult one. What happened to the MTO inspectors? The technician’s actions were clearly wrong, but his shop didn’t even have the proper equipment to do the job. That part falls on the MTO people who were supposed to inspect shops periodically. What happened to those inspectors? Here in B.C. we are inspected regularly to see if all things are in order. So what charges were laid against the ministry inspectors for not doing their job? There are a lot of problems with inspections, and I know a lot of shops are simply not interested in doing them anymore. People borrow tires to go through an inspection but then put their monster tires back on once they get the pass. 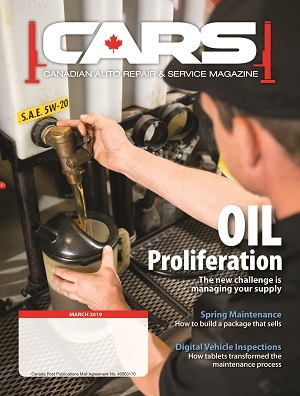 We find tons of unsafe conditions on vehicles that come in from out of province, but the owners insist their car is perfect because it passed an inspection before they left. Customers are constantly saying we’re ripping them off, or failing them for things that aren’t important. And if there’s an accident or something goes wrong, it’s the inspector’s fault. Who in their right mind would want to take the risk for the $85 dollars we get paid to do an inspection? The story of that crash near Peterborough is truly tragic. How the jury found this guy not guilty of criminal negligence is unbelievable. Maybe they should have their heads checked. Correct me if I’m wrong but I always thought safeties could only be done by a tech that is registered with a particular shop. I know that the shops this guy walks into are not registered with the MTO. Personally, I’d like to see more inspections and enforcement. I agree that fake certifications should never be issued. But it seems that Joe Ramono’s shop had minimal tooling — far less than what was required to perform inspections. Why was that shop ever issued a license from the ministry to perform inspections? Who holds the ministry accountable? Who signed off on Mr. Ramono’s license to perform inspections? Shortages in manpower can account for some of the lapse, but what about follow up? I believe the overall laziness permeating most levels of government is a large part of the problem. How do we stop this kind of crime? I’m a government motor vehicle inspector, and I cannot count the times I’ve been asked to falsify an inspection report. I’ve heard some amazing sob stories but I’ve never falsified an inspection. Every time I do an inspection I visualize my family and loved ones on the same road as the vehicle being inspected. That causes me to dot every i and cross every t. It just makes my blood boil when I hear about things like this. How do we stop it? Create a licensed technicians tribunal with powers of punishment? I’d bet after six months this type of thing would be almost non-existent. Those of us who take pride in what we do would come down very heavily on offenders. The Motor Vehicle Inspection System (MVIS) is broken. Too many shops simply do not follow the guidelines. And most vehicle owners do not know what the inspections are meant to catch. Perhaps the MVIS program needs to be set up like Drive Clean, where only approved locations with certified technicians are allowed to perform the inspections, with results entered automatically in the program, with pictures, test results, scan data, and everything. This would allow the MTO to better control the inspection program. Fake safeties would disappear overnight. Like most of your readers, I was horrified by your recent stories on falsified safety inspections. Of equal concern, though, is the auto repair industry’s inability to legally take vehicles off the road when they are deemed to be unsafe. Here in Alberta, I struggle with this on occasion. An article in our local paper some years ago told how a local repair shop (national chain) advised a customer that their vehicle was unsafe to drive. They refused to hand the keys back to the customer. The customer said this was just a cash grab… and public seemed to agree. If the shop had released the vehicle and a collision had occurred, that would have been front page new too! I won’t force a customer into a repair if the vehicle is not worth it or a customer cannot afford it. But there needs to be a legal way to deny an unsafe vehicle to a customer. After reading your editorial in the September issue of the magazine, I believe the Crown should appeal the ‘not guilty’ verdict on the charge of criminal negligence causing death. Hopefully a higher court will convict Mr. Ramono of this serious crime. I am sickened to know that someone in my area of work did this and a life was lost as a result. S.J. MacRae & Son Ltd.
I’ve always felt that it was a huge responsibility to do safety inspections. Given the potential liability, it makes me wonder why anybody would compromise their business, their career, or their family’s well-being for a quick dollar. It doesn’t matter whether it is $200 or $2,000. The situation is only complicated by the fact that some people try to do their own repairs. I recently performed a safety inspection on a Subaru. When I called the customer with the quote, his wife said her husband planned to do the brake work himself and bring it back for sign off. I told her I won’t safety the vehicle unless we perform the repairs. Well, the guy showed up to discuss the policy. Ultimately he declined the repair, saying he would do the work himself and take it to another shop for the inspection. So here’s a unsuspecting shop that could now be held responsible for this guy’s repairs. I also know a retired printer who will fix people’s brakes in his driveway, in between beers. I still cannot believe a reputable parts stores would sell safety parts to people like that. It blows me away that in a society like ours, where most people are reasonably well off, do-it-yourself auto repair exists. If you disconnect the wrong wire or fail to tighten things up just right, things can go wrong real quick! Lots of good reads. I have said since the introduced the new guidelines and safety standards in July, that they should co-ordinate it with the drive clean machine. As we already have a machine that can take pictures and scan vins in our shops. (well the drive clean shops). What drivers can fail to realize is that they are wielding a 2000 + lb weapon in their hands when they pull away from the curb. Because of the forces of physics, any component can fail without notice. Minimizing that reality is why we are held to strict standards. My shop shop sometimes gets complaints from customers because we follow inspection guidelines to the letter; we can live with that. What concerns me is the condition of vehicles that come into our shop shortly after being purchased from an independent used vehicle lot where purchasers may or may not have been given the proper AMVIC pre-purchase vehicle inspection reports and sales contracts. Yet when we inspect them, component condition could not possibly have deteriorated so rapidly from the time of purchase. I was approached by a used seller who in my reception area in front of my customers, blatantly asked whether I’d do his pre-owned vehicle inspections for a deep discount and get a $100 cash kickback when the vehicle sells. I know that I or any reputable business won’t take the bait, but I know that it’s happening from the evidence of vehicle inspections we’ve done when new owners begin to experience performance or safety issues too soon after purchasing the vehicle and we find seriously compromised components. There certainly must be real penalties for service providers who don’t follow the rules but also for government inspectors who don’t hold service providers up to mandated standards. Whether the answer is increased funds to hire more inspectors, or a different means of completing the process, I’d like to see a scenario where I can simply call and have a government inspector arrive post haste to see suspect vehicles and with the power to immediately shut down the seller, pending deep investigation rather than an on-line complaint forum that can take months to be dealt with while the sales deals continue on. For someone to lose their life because of a unsafe vehicle on the road is the worse thing in the world for a Family to go through . My Prayers are for the family. For a inspector to have falsified a report and give it a sticker, they are as guilty as the driver of the vehicle and must be treated in court as such. The sentence should reflect the horror of the crime. Never should this person be allowed to work on or inspect a vehicle for the rest of their life. Being a Mechanic , Inspector, and owning a repair shop is one of the hardest things to do. It is hard to get people to trust you. Can the government stop it NO. Can you stop it NO. I am proud of the men and women in the BC CVIP inspection program. They have a hard job to do. NOT all of them are good at their job, some will make bad decisions on a inspection, just because the truck driver is a jerk, or they are having a bad day. Even a Police Officer will not like the looks of a kids car and demand an inspection. I have had NO PROBLEM calling them out when they did it wrong. When I have needed a ruling on a gray area of the inspection, calling the government head inspector and getting a fair ruling is no problem. Personally I am proud to be one of the 20 individuals that got the first inspectors license. You will not stop it. But you can help make the system better. If you see something going on, report it. Be proud and hold you head up high that you do an honest inspection, if you lose customers or friends so be it. You are doing it right , you can sleep at night knowing your customers vehicles are safe for them. I agree that we should see all vehicles get inspected at least every 2 after they turn 3 years old because of safety concerns and including body structure and headlight aiming.The inspection can be performed at the same time as the Drive Clean test,I feel more confident that we can do our part to narrow the amount of under the table safety inspections. Another way to look at this problem is to hold the vehicle owner legally responsible for the safety as well. The ones that actively seek illegitimate safeties should face criminal charges. I understand nobody wants to put a lot of money into a vehicle to sell but what price can you put on public safety? The vehicle inspection system is broken & surely needs fixing < But one question no one is asking..What if the individual that sold the truck ,had not sold the truck ,& was still driving this unsafe truck would that make it safe .In this province there is no regulation regarding safety of vehicles. Once someone buys & ownes it that is that . there is no mandatory law requiring vehicles being regularly inspected . 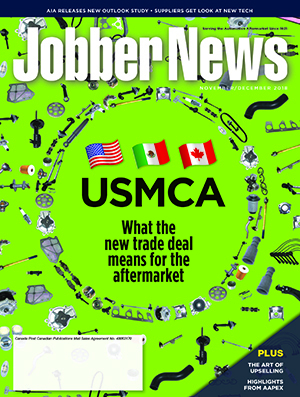 A group called Automotive Aftermarket Retailers of Ontario is currently attempting to lobby the provincial government to implement biennial safety inspections to address this very point. I personally sent out a petition to the membership of AARO and forwarded it to my MPP. We need to get more people involved to get this moving. There is also an unsafe vehicle registry that Rick McMullen from Ricky Ratchet’s Auto in London has established. I believe the public is not aware of the condition of some vehicles being driven on our roads today.